As brains age they undergo many changes at both the structural and molecular levels. 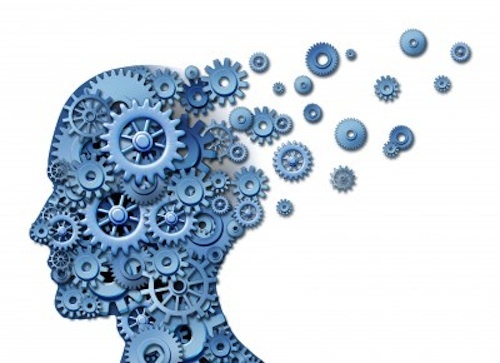 It has therefore been difficult to tease apart which normal biological changes are responsible for certain cognitive changes that accompany aging. Two recent studies have examined long-term memory formation, retention, and retrieval in aging brains, and have come to the interesting conclusions that older brains are less able than younger ones to incorporate newly acquired knowledge into long-term storage  and that this may be partially due to the fact that they have diminished levels of non-rapid eye movement (REM) sleep . The first study used mice genetically engineered to over-express just one subunit of the NMDA receptor, NR2A, also known as Glutamate Receptor, Ionotropic, N-methyl-D-aspartate, Subunit 2A (GRIN2A), the predominant molecular receptor for controlling synaptic plasticity and memory function, in the forebrain. Forebrain: the largest part and most anterior region of the brain, most of which is made up of the cerebrum; responsible for a variety of functions including receiving and processing sensory information, thinking, perceiving, producing and understanding language, and controlling motor function. This receptor is known to be important in learning, memory consolidation, and the long-term preservation of memories. The ratio of two of the subunits comprising the NMDA receptor (NR2A and NR2B, also known as Glutamate Receptor, Ionotropic, N-methyl-D-aspartate, Subunit 2B (GRIN2B), has been observed to shift over time. By specifically over-expressing the subunit that predominates with age, the researchers were able to determine the consequences of this shifted ratio without the other confounding changes that accompany it in aging brains. The mutant mice mated and grew normally, and of similar size and weight to their normal litter mates. They also exhibited similar behaviors, movements, and temperaments. Their ability to learn and form and retrieve short-term memories was fine too; after an hour, they could recognize novel objects and responded appropriately to a context or cue they had been trained to fear, much like their normal siblings. But after twenty-four hours, they showed no indication that they had ever seen the object, and were significantly less afraid of the context or cue they had been trained to fear the previous day. Their spatial reference memory was also deficient; they couldn’t find a submerged platform in a plus-shaped maze as quickly as normal mice did. Because the mutant mice could access their short-term memories, the researchers concluded that it is memory consolidation, and not recall, that is compromised. They suggest that these mice are unable to “sculpt and transform newly acquired information by modifying and incorporating them into the existing knowledge network … via removing less relevant or less important information.” Simply put: older brains have trouble forgetting existing information to make room for more. Aging is associated with atrophy in the medial prefrontal cortex of the brain (right behind your forehead), reduced slow wave activity during non-REM sleep, and impaired long-term memory retention. The medial prefrontal cortex promotes non-REM sleep and its volume is preferentially reduced as we age; and non-REM sleep plays an important role in the long-term consolidation of memories in young adults. It was possible that these three events were independently associated with age, but researchers based at the UC Berkeley used statistical analysis to reveal that they are in fact related. They tested two groups of people, one with a mean age of twenty and the other with a mean age of seventy-two, on their ability to recall a group of nonsense words immediately after learning them and then again after a night’s sleep. The older adults did worse immediately after learning the words, but they did MUCH worse the next morning. And they got only about a quarter of the amount of high-quality slow-wave sleep that the younger group got. These results suggest that the reduction in grey matter in the medial prefrontal cortex that is a normal part of aging causes a decrease in non-REM sleep, which in turn impairs the long-term memory stabilization that occurs during this phase of sleep. Their suggestion for combating memory loss in older adults? Make sure to get a good night’s sleep. Cui et al. Increased NR2A:NR2B ratio compresses long-term depression range and constrains long-term memory. Sci Rep. 2013;3:1036. doi: 10.1038/srep01036. Epub 2013 Jan 8.